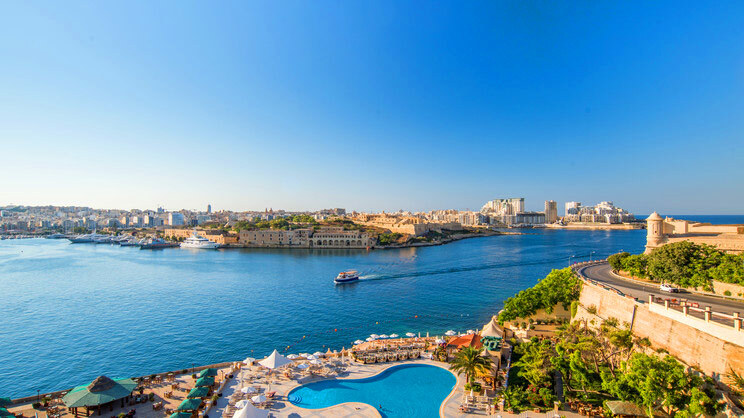 Holiday like royalty in Malta at the Grand Hotel Excelsior, an opulent hotel overlooking the glamourous marina and Manoel Island. There is a private sand beach complete with sun loungers and parasols as well as a private marina where glittering yachts bob gently under the glorious Maltese sun. 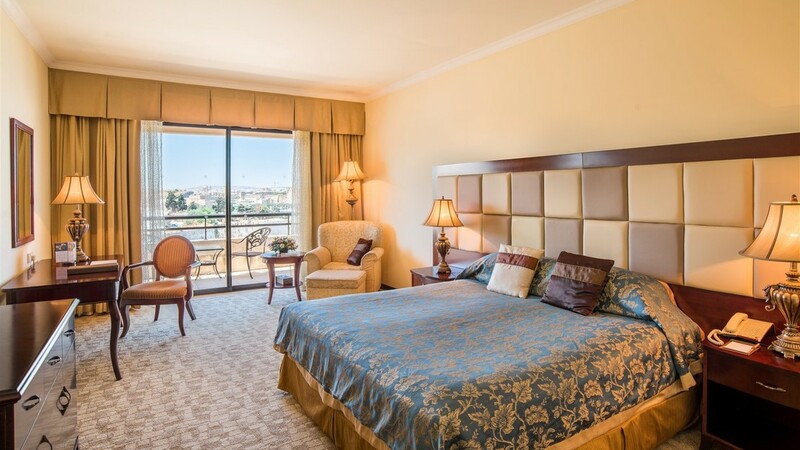 Rooms are tastefully and conveniently furnished, each offering a different view of the stunning surrounding areas. Also adjacent to the hotel is the ancient and fascinating city of Valletta, which is perfect for a culture-soaked day out. The Grand Hotel Excelsior boasts its own private sand beach offering sun loungers and direct access into the Mediterranean Sea. The hotel is conveniently located at the entrance to old Valletta city, making it perfect for exploring. There is also an abundance of shops, bars and restaurants nearby. Malta International Airport is approximately 9km away from the Grand Hotel Excelsior.